Of all the books of the Bible few have had more resonance for modern readers than the Book of Job. For a world that has witnessed great horrors, Job's cries of despair and incomprehension are all too recognizable. The visionary psychotherapist Carl Gustav Jung understood this and responded with this remarkable book, in which he set himself face-to-face with 'the unvarnished spectacle of divine savagery and ruthlessness'. 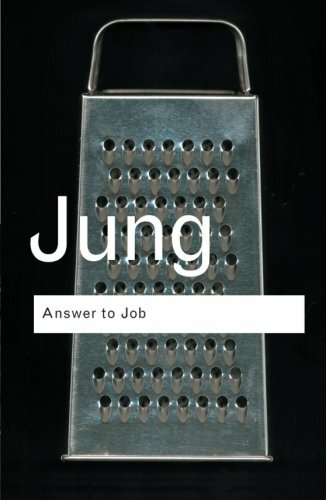 Jung perceived in the hidden recesses of the human psyche the cause of a crisis that plagues modern humanity and leaves the individual, like Job, isolated and bewildered in the face of impenetrable fortune. By correlating the transcendental with the unconscious, Jung, writing not as a biblical scholar but 'as a layman and physician who has been privileged to see deeply into the psychic life of many people', offers a way for every reader to come to terms with the divine darkness which confronts each individual.